One of the big grumbles of poker players in the UK has always been the archaic processes through which they have had to plod to successfully register and pay up for tournaments. Then, in the tournament itself, players often have to rely on a staff member with a clipboard and a sheaf of papers piled up on a desk for information. Now, that looks to be changing at the Grosvenor chain of casinos in the UK. Grosvenor has given the all-clear to install a revolutionary electronic system called "CardRoomMAGIC" at its casinos. This system will take on much of the manual work necessary to keep a card room running before, during and after a poker tournament, while at the same time dispensing visual information to the players and staff about the progress of the contest, and producing duplicate records for players and compliance departments alike. The card room will sport a large plasma screen displaying prize pools, blind levels, player numbers and anything else concerning the current state of play. Furthermore, the staff will be able to update it on the spot using portable WiFi equipment. For instance, if a player is issued with more chips during the re-buy phase of a tournament, that addition to the prize pool is scanned in and a receipt is issued to the player. The information is immediately relayed via the screen to the card room. There will be a main PC linked to it in the card room and another at the cash desk. Players paying at the cash desk outside of card room hours are thereby immediately registered and their monies entered into the prize pool. Human error is all but eliminated, not to mention the frustrations of travelling a long distance only to be told there is no-one in the card room to deal with one's request - a bugbear long overdue for extermination! Apart from the mechanics of managing a tournament or poker league, "CardRoomMAGIC" will also be able to plan the structure of a game including the creation and modification of seating plans as more players register. In fact, so fully-automated is the system, that casino staff will be able to dedicate greater time with less stress to managing customer requirements and service that sometimes go missing during the heat of the tournament! Making the transition from archaic paper systems to cutting-edge automated technology has presented challenges and it will be critical that casino staff can adapt. 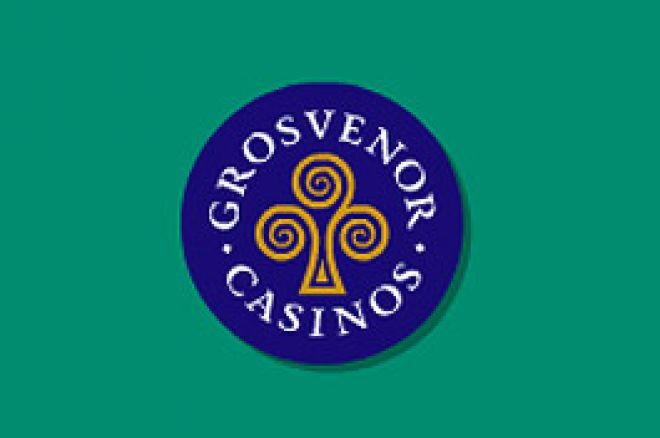 Grosvenor recognised this by extensively trialling the system at Walsall, one of its leading poker rooms. This has been a success according to Paul Armitage, London Regional Director at Grosvenor Casinos; "..the objective was to ensure that it was the right system for us to use in the long term. Moving from a paper-based to an automated system is a big step and we needed to ensure that it could be implemented seamlessly enough to retain the confidence of both staff and customers. The 'Magic' system has proved successful as it really does seem to be able to manage every eventuality that a card tournament can reveal."